Looking up to Hickory Tree Road from Lions Park soccer field. There is a lot of construction ongoing in Lions and Raymore Parks. 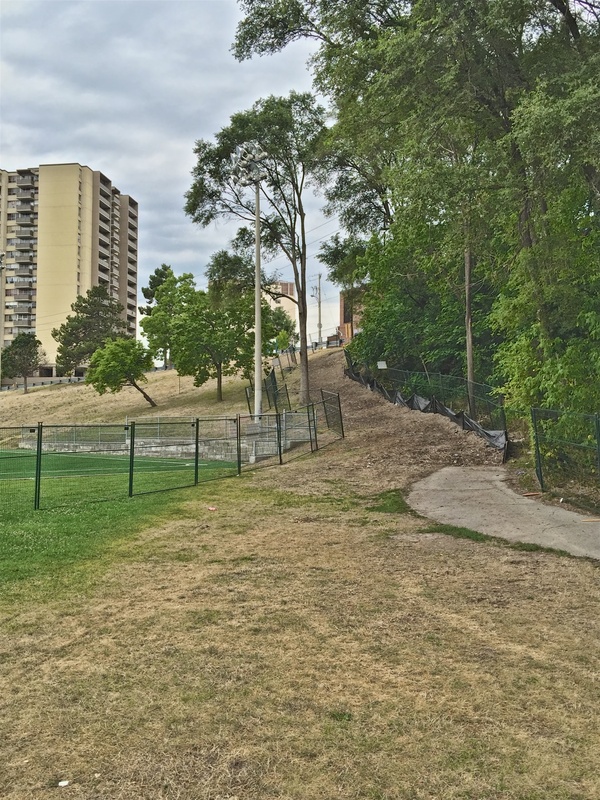 In addition to sewer pipe re-lining and a retaining wall along the Humber, the rickety wooden steps leading from Hickory Tree Road to Lions Park soccer field have been demolished. Replacing them will be new sturdy metal steps that will not need winter salting. The work is scheduled to be completed by the fall. The work was originally scheduled for September of last year. 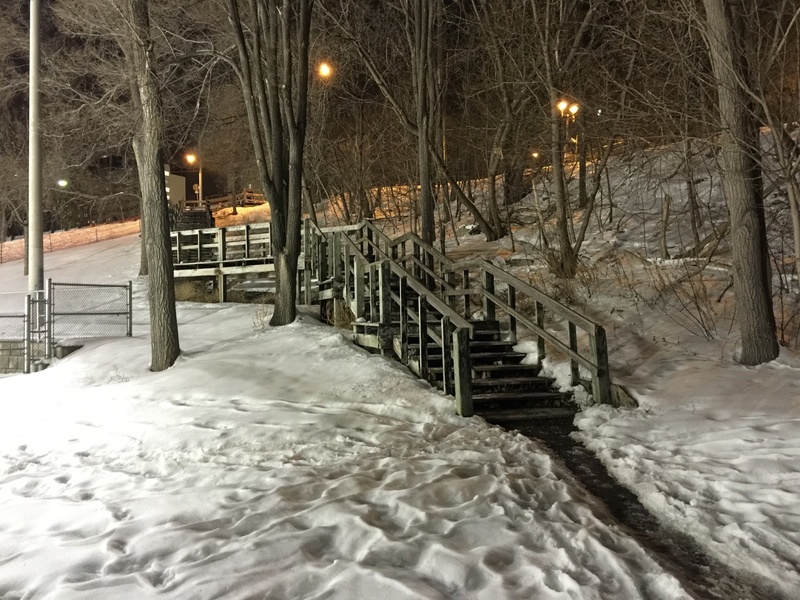 A nighttime view of the old steps taken in February 2015. Next Next post: Farmers Market – my 2 cents.